NOTE: You can save time and effort by making a larger batch of the sauce – e.g., doubling the recipe – and freezing the extra for next time! *Check out our Grocery Shopping Guide for our tips on selecting the most additive-free versions of these ingredients. Prepare enchilada sauce: Heat oil in a large saucepan over medium-high heat. Add onion and garlic; sauté 5 minutes or until tender. Stir in remaining ingredients. Reduce heat, cover and simmer 30 minutes. While sauce is simmering, brown beef and diced onion (if using). Drain if needed. Stir taco seasoning ingredients and 3/4 cup water into cooked meat; bring to a boil. Then reduce heat and simmer about 10 minutes. Place tortillas on a flat surface (I use a clean countertop) and coat each with a thin layer of sauce. Divide meat mixture evenly between the tortillas. Grease a 9 x 12 baking dish (although I never bother greasing my glass dish!). Cover the bottom of the pan with a thin layer of sauce, so the tortillas don’t dry out on the bottom. Place all folded enchiladas into the pan and cover evenly with remaining sauce, making sure to coat the outer edges. Bake uncovered at 350 degrees for 25 min., until bubbly & warm. Sprinkle remaining cheese on top, and return to oven until cheese melts (about 5 minutes). We enjoy these just like this, but you could top with salsa, sour cream, guacamole, etc. We enjoy these served with homemade baked corn chips. 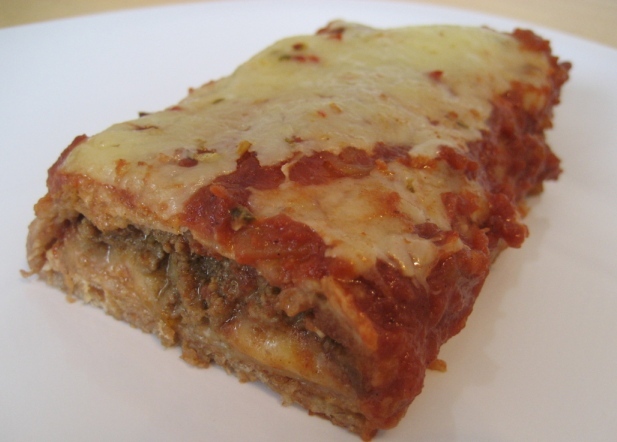 This entry was posted in Recipes and tagged additive-free, beef, dinner, enchiladas, healthy, mexican, natural. Bookmark the permalink. We make a similar dish with shredded beef, pork, or chicken from previous meals. Unfortunately, we are still perfecting our thin tortilla skills to utilize homemade tortillas. Any suggestions for making thin preferably flour.tortillas?